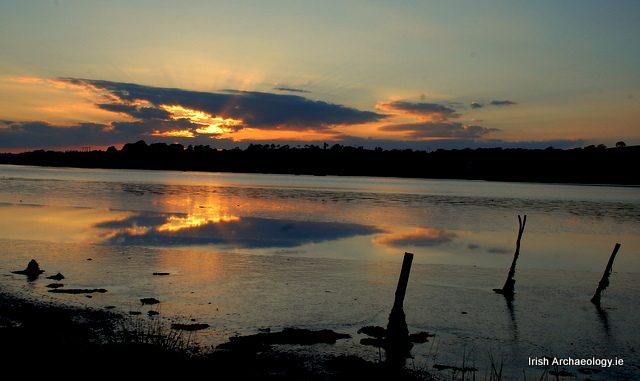 Alva Mac Gowan tells how she spent an enjoyable midsummer’s night in a very unusual location. 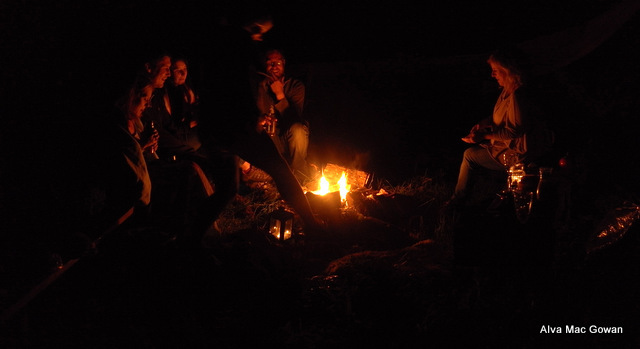 This year, after a melancholy, dark and stormy winter, I decided to celebrate the longest day with a few close friends and make it a midsummer to remember. I work (when the work is there) as an archaeologist. Many of my old friends are archaeologists, there is an unusual bond created when a group of people spend cold winters and scorching summers outdoors with their hands in the soil. Touching the past and learning from all that remains for us to find. Archaeology has always attracted a motley crew of misfits, essentially we are all romantics that never managed to shed our vivid imagination from childhood. For the last few months I have been working with The School of Irish Archaeology, dressing up as a Viking Woman, bringing these Norse people to life and then helping the children to excavate a simulated Viking House. 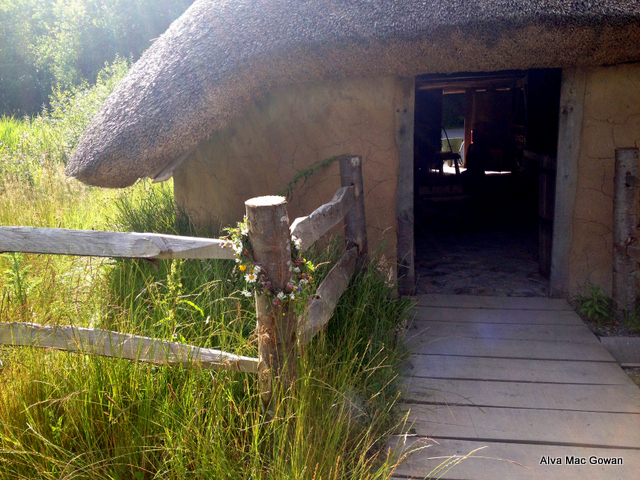 So, with all my knowledge, I thought it might be nice to celebrate the Summer Solstice in a reconstructed Viking house. 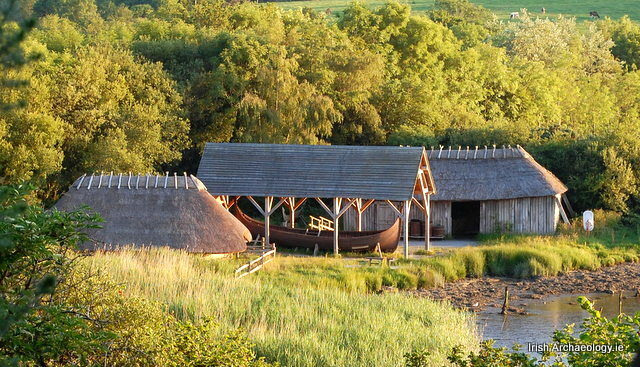 There is a stunningly beautiful replica in the Irish National Heritage Park in Ferrycarrig, Co. Wexford, built and designed by the very talented craftsman Eoin Donnelly. 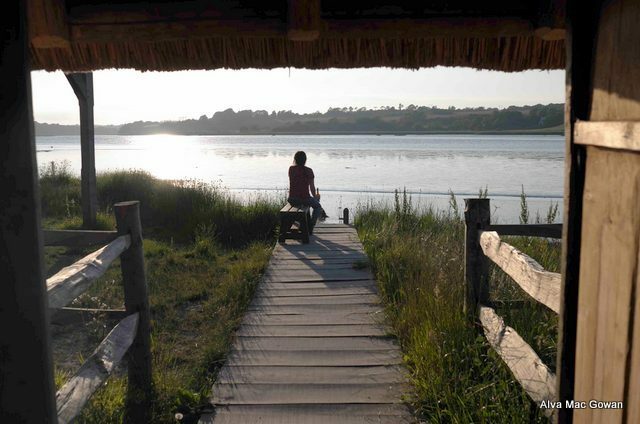 The generously proportioned wattle and daub house is located on the banks of the River Slaney. 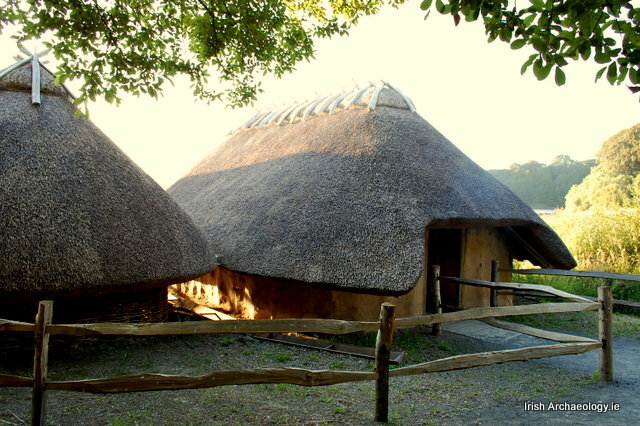 After some persuasion, the Heritage Park kindly agreed to let me and my friends stay the night there and gain a unique perspective on how the Vikings lived. There were only seven of us with plenty of space for more in the Type 1 structure, based on floor plans from houses excavated at Woodquay, Dublin, dating to the 10th century. 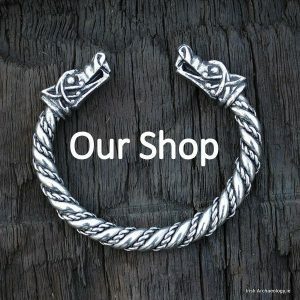 After settling in Ireland the Vikings quickly assimilated into Irish culture merging their traditions with the natives, who were equally as violent and superstitious. The two languages you would have heard along the markets on Dublin’s or Dyflin’s Fishamble Street were Gaelic and Norse. My own name, Alva according to my parents came from the old Irish name Ailbhe. However, recently I learnt that Alva is a very old Swedish name, now enjoying a renewed popularity there, ranking number two in the girl’s baby name charts. Could the Vikings have brought it with them? 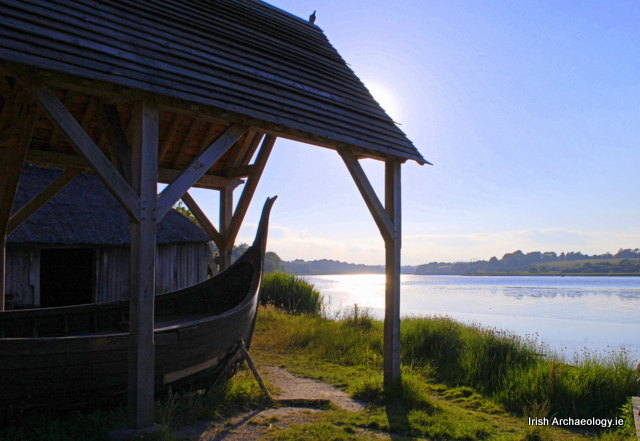 The Vikings brought many traditions which eventually merged with the already existing ones in Ireland. 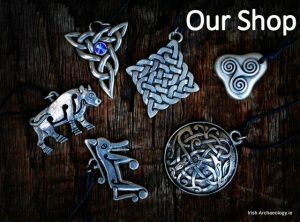 Unfortunately many of the Irish midsummer celebrations have since disappeared. Up to a few decades ago in the Irish countryside, bonfires burned brightly into the night as the sun set and different regions had different rituals, from burning harmful weeds to eradicate them, to taking the red ashes to light the first fire of a newly built house. 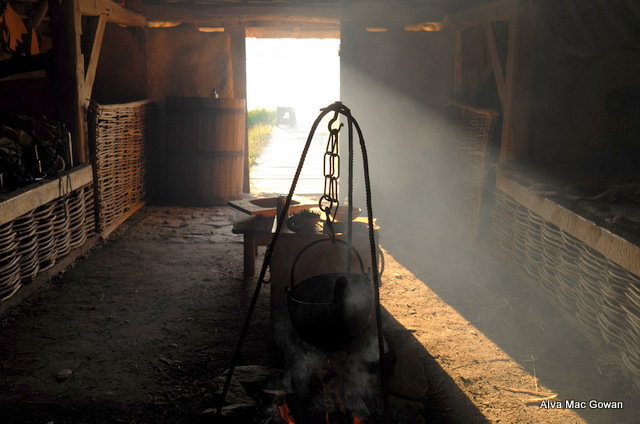 We lit two fires on our Viking midsummer’s night, one outside where we cooked two full sea bass fish soaked in fresh lemon juice and some smoked cod; both tasted all the better over the open fire. Inside the house, will lit a fire in the center and told stories of Viking myths; the pantheon of gods were as complicated as the Greeks and I can see how easy it was for Christianity and monotheism to catch on. But each god had a purpose and association, as many of the Christian saints also came to have. I feel that organized religion and the industrial revolution distanced us from nature; the intimate knowledge of the environment that people shared passed down through generations and taught individuals to respect their environment and the power of mother nature. It is becoming obvious to me that this is what many of us are now striving to reconnect with as we crave a more peaceful and wholesome lifestyle. 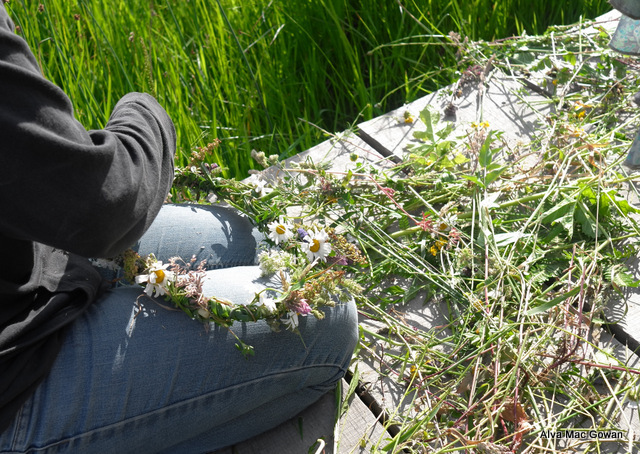 We gathered wild flowers, including Ox-Eye Daisies, Foxgloves, Cow Parsley, Flax, Stitchwort, Skullcap, St. John’s Wort, Ferns, Grasses and Rushes to make garlands. Which we left on the house for good luck and in the fire for a successful harvest. My favourite part of the evening was the final part, when we sat on the deep benches on either side of the fire and told stories. The rushes on the roof crackled as smoke meandered up through the eves. Our faces were flush and lit from below and the shrinking flames lulled us all into a deep sleep. I woke the next morning at 6.30 am to the sound of the birds and peaceful snoring from different corners of the room. The fire still smoked and I could see the river growing through the open door as the tide returned to its banks. 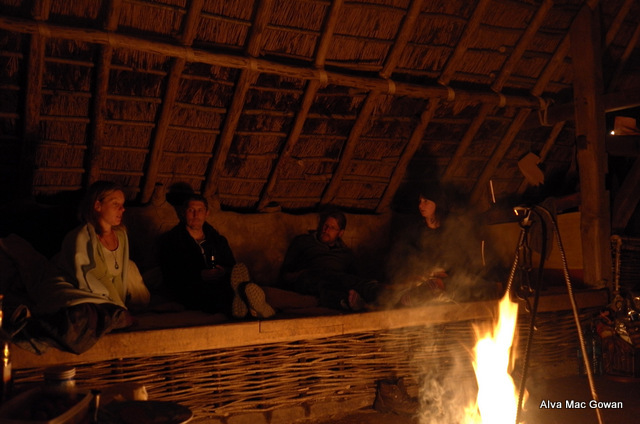 I lay on my sheepskins, wrapped in a warm wool blanket pinching myself and gazing up at the thatch and knew that this had been a midsummer to remember. 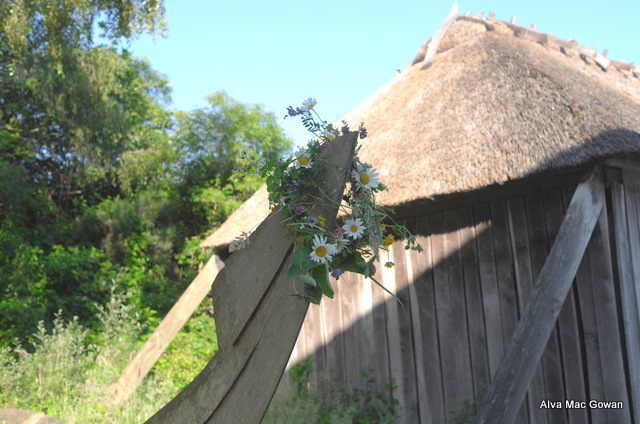 So now I know who made those lovely garlands; I found them at the Viking boatyard while guiding one of the tours at the Heritage Park…and some of the tourists in the group happily noticed them too. What an interesting experience! I’m a writer in Australia trying to imagine what buildings of 14th century Norfolk looked like around Cromer. I suspect they may have been similar. More research required by me on this, but I wondered if you could confirm or deny?